The Falcons, as a team, are as annoying as one of WR Roddy White’s nagging injuries; just when things appear to be going fine for this otherwise solid squad, something derails them and knocks them off course. 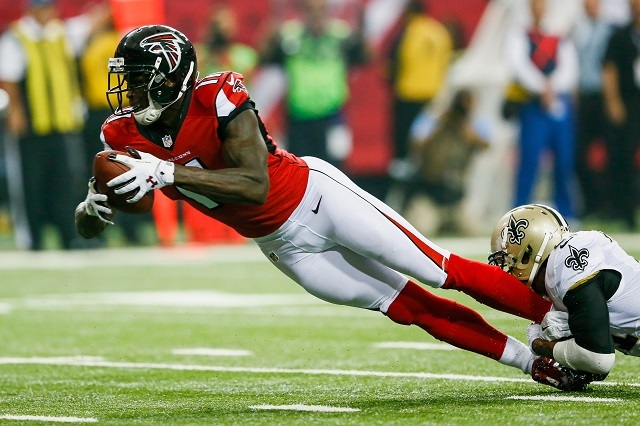 Whether that’s in pursuit of a Super Bowl berth, as in 2012, or just in an effort to make the playoffs like last year, the Falcons always seem to have their wings clipped just as they begin to pick up speed. Indeed, in spite of their collective injury history, this team simply boasts too many skilled players – at skill positions, no less – to have won only 10 games combined in the past two seasons. As a result of those struggles, Head Coach Mike Smith is gone and in his place has come Dan Quinn. This should necessarily mean a much-needed emphasis on defense, but what these birds might need most of all is just a clean bill of health, because when they aren’t in the training room, White and running mate WR Julio Jones might well be the best 1-2 receiving combination this side of Jordy Nelson and Randall Cobb. And for all the criticism of his ability to perform in the playoffs, QB Matt Ryan is anything but Andy Dalton. He’s been the best thing about this team during its forgettable fall from grace and positions the Falcons, more than virtually any of the other down on their luck franchises in the game, as a likely candidate for a rebound and a return to contention sooner rather than later. IN: (via the draft) — DE/OLB Vic Beasley, CB Jalen Collins, RB Tevin Coleman, WR Justin Hardy, DT Grady Jarrett, OT Jake Rodgers, DB Akeem King. (via free agency and trades) — WR Leonard Hankerson, TE Tony Moeaki, TE Jacob Tamme, OT Tyler Polumbus, G Chris Chester, G Mike Person, DE Adrian Clayborn, DE O’Brien Schofield, OLB Brooks Reed, OLB Justin Durant, CB Phillip Adams. OUT: RB Steven Jackson, RB Jacquizz Rodgers, WR Harry Douglas, TE Bear Pascoe, OT Sam Baker, G Justin Blalock, G Gabe Carimi, DT Corey Peters, OLB Sean Weatherspoon, OLB Prince Shembo, CB Robert McClain, CB Josh Wilson, S Dwight Lowery. 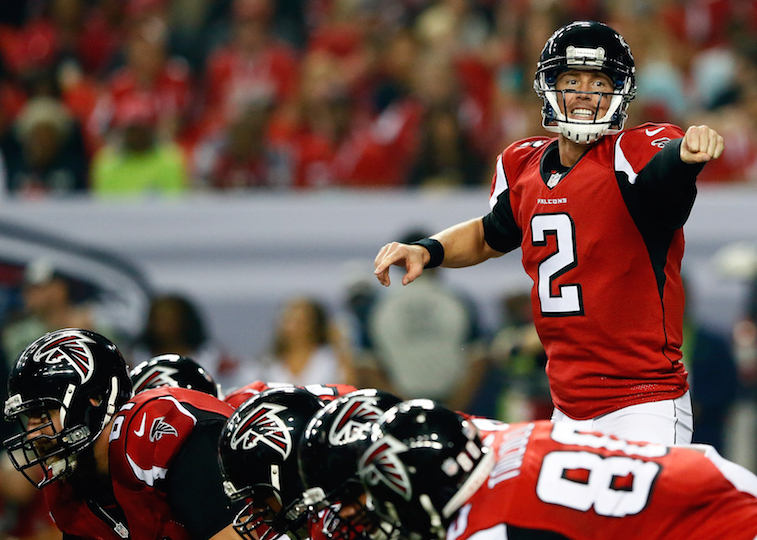 The obvious takeaway here is that the Falcons aren’t your typical team with a bad record. They have an established franchise quarterback, two stud receivers, and a very solid offensive line that only saw Ryan get sacked 31 times last year. The shuffling they made to that unit notwithstanding, the Falcons figure to protect well again this year. They also registered 8th and 5th rankings in total offense and passing offense, respectively, while the chief weakness has been (and probably remains) the rushing attack. Running for 1498 yards (good for 24th), Atlanta has waved goodbye 924 of those with the departures of Stephen Jackson and Jacquizz Rodgers. In their places step up second-year back Devonta Freeman and third-round pick Tevin Coleman. While no one is asking Atlanta’s backs to carry the load as though they’re the Seahawks, they need to get enough from that unit to keep defenses honest and free up their prolific passing attack. And speaking of that passing offense, the Falcons will continue their attempt to replace the retired Tony Gonzalez with Jacob Tamme. Of note: the team saw its receiving yards by tight ends drop from 914 to 241 between 2013 and 2014 (the first year sans Gonzalez). Ouch. So in spite of being pretty one-dimensional on the side of the field that’s their calling card, Atlanta still put up really solid offensive numbers. On defense, however, it’s another story. The Falcons were dead last against the pass and overall, and came in just 21st against the run. Outside of CBs Jalen Collins and Philip Adams, they did precious little to address those pass defense maladies. In what should otherwise be a great year for the team to rebound, the pass defense still could weigh them down. On the other hand, that’s nothing new and their secondary didn’t keep them from reaching 13-3 and the NFC Championship Game just three seasons ago. Atlanta did address its woeful pass rush, which ranked second to last with just 22 sacks last season, in bringing in DE/OLB Vic Beasley, DE Adrian Clayborn, DE O’Brien Schofield, OLB Brooks Reed, and OLB Justin Durant. Those players could ostensibly help the secondary by putting more heat on opposing quarterbacks, something the Falcons seldom did last year. The Falcons, with the exception of their moribund defense, were better than their 6-10 record last year. Or rather, their offense was – their defense was actually worse than that. Assuming a new defensive-minded head coach can come in and clean things up, though, there’s little reason why the team couldn’t return to contention. They have the weakest strength of schedule in the entire NFL and play in a division where Carolina is the default favorite, not the overwhelming one. They have Dallas, Indianapolis, two games against the Panthers, and a full slate of games against also-ran teams such as Tampa (twice), Washington, Tennessee, San Francisco, Jacksonville, and a two against a sliding New Orleans team. By our estimation, that’s two daunting tests and a lot of very winnable games. Matty Ice, Julio Jones, and Roddy White have been waiting awhile, but provided they can avoid the injury bug and improve a bit on defense, the Falcons might turn this city into “Hotlanta” once again by the time winter rolls around. 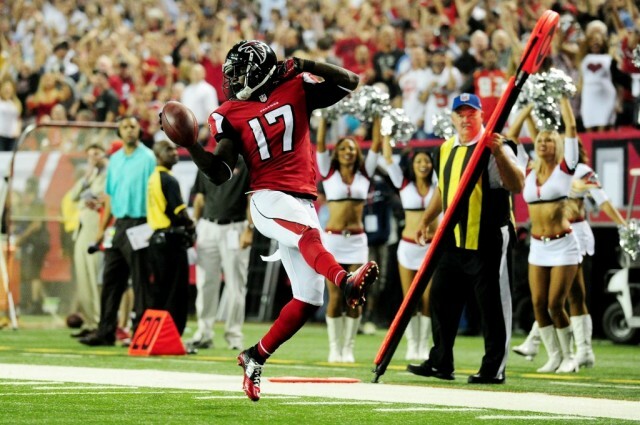 Prediction: We’re stepping way out on this one – 10-6 and the NFC South Championship. For the next month, Sports Cheat Sheet is proud to bring you previews of each of the NFL’s 32 Teams (in draft order). Here you’ll find out who your team added, lost, and whether or not it’s shaping up to be their year (Hint: it probably isn’t).